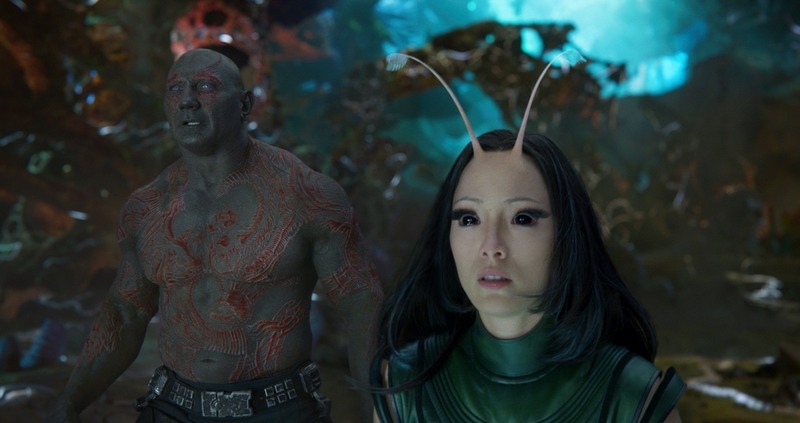 When Guardians of the Galaxy came out in 2014, even the most loyal of Marvel fans had to question whether a sci-fi action comedy of mostly-unknown characters from an obscure comic book would be able to thrill moviegoers the way that Iron Man and his fellow Avengers had been doing since 2008. 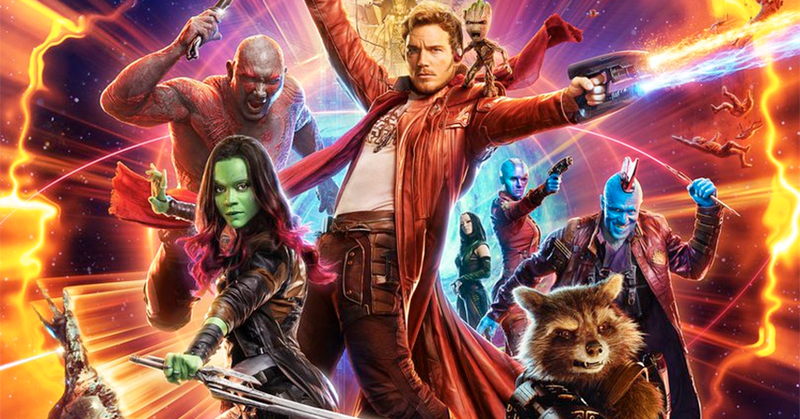 Indeed, with a cast that included a former WWE wrestler (Dave Bautista, as Drax), an Academy Award-nominee voicing an animated space raccoon (Bradley Cooper, as Rocket), a crewmember from JJ Abrams’ Star Trek remake (Zoe Saldana, as Gamora), and Vin Diesel as a talking tree of limited vocabulary (Groot), all being led by the funny fat guy from TV’s Parks and Rec (Chris Pratt, as Star-Lord), Guardians of the Galaxy sounded like a long shot from the get-go. Thankfully, director James Gunn (Slither) was able to take that band of intergalactic misfits, added heaping helpings of action and humor, and came up with a tale that was exciting as it was irreverent, all packaged with one of the best retro pop soundtracks ever assembled. The result: critics and fans ate it up, with many calling it the shot in the arm the Marvel Cinematic Universe (MCU) needed to stay fresh while, at the same tine, opening the door for the franchise to tell different kinds of stories. After the surprise hit of 2014’s Guardians of the Galaxy, the bar was raised for the sequel to prove that it was no one-hit wonder. 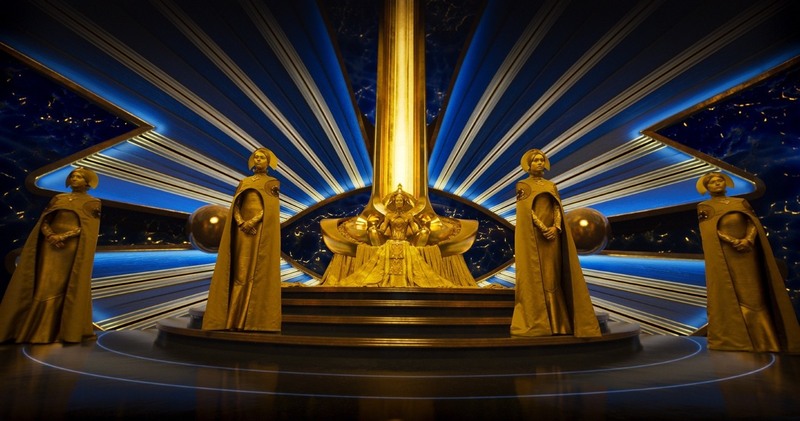 Where the first film had been a risky venture involving a property few knew about, Guardians 2 would have the popularity of its predecessor working for and against it in terms of audience expectations. Simply put: returning director Gunn and his cohorts have hit another home run, continuing the themes and stories introduced three years ago, while expanding on them in ways that feel earned and organic. 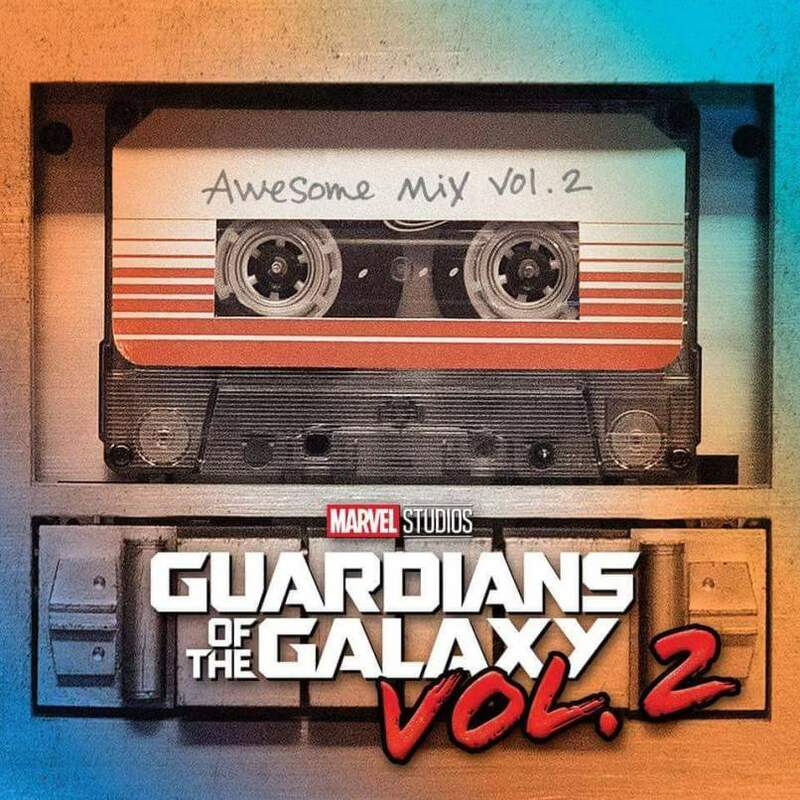 The characters and visuals weren’t all that blew us away in 2014, as Guardians of the Galaxy’s soundtrack had one of the hands-down finest compilations of ‘60s and ‘70s pop in modern cinematic memory, thanks to director Gunn’s brilliant taste in tunes. For Volume 2, he’s assembled another winning playlist, complementing the action with retro titles ranging from “Mr. Blue Sky” by Electric Light Orchestra, “Wham Bam Shang-A-Lang” by Silver, and “My Sweet Lord” by George Harrison, while “Brandy (You’re a Sweet Girl)” by Looking Glass plays a special part in the overall story. ‘80s icon David Hasselhoff (Knight Rider, Baywatch) lends his vocals to a new track, the hilariously self-aware, “Guardians Inferno”, that plays over the end credits. From the get-go, Guardians 2 lets the audience know not to take the proceedings too seriously, as the film’s first action sequence features our titular heroes living up to their job description by taking on an inter-dimensional tentacle monster in suitably ridiculous fashion. Just try not to smile. Go on, we dare you. While Zack Snyder continues to push audiences to accept comic book movies devoid of life and color, Guardians 2 is the big screen equivalent of a nuclear-powered unicorn exploding out of a confetti-packed snow globe. Expertly realized by the CGI wizards from Weta Digital, the playfulness and variety of the visuals never overwhelms or supersedes the narrative at hand. This is eye candy at its finest, a comic book brought to rip-roaring, glorious life; a bubble-gum infused confection of riotous joy and visual insanity you’ll want to see more than once to absorb it all. 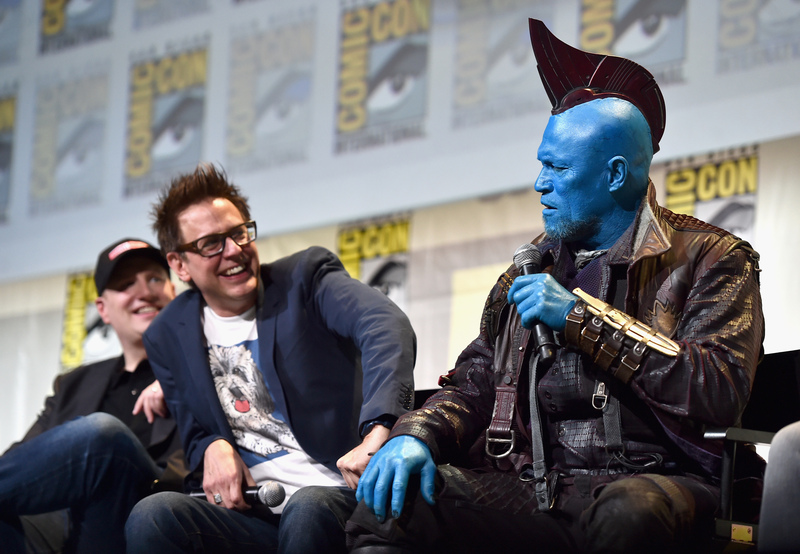 Perhaps the most significant accomplishment of the first Guardians movie was its emphasis on character – no matter how ridiculous the story got, Gunn grounded the proceedings through the main team and their relationships with one other. In Guardians Vol. 2, the character interactions are sharp as ever, while actually evolving and progressing them in touching and logical (yet no less surprising) ways. Even when Guardians Vol. 2’s story strays in spots, it is the strength of the characters that gets things back on track. Well, that or they make Baby Groot do something cute. The eclectic cast we described in the intro has come a long way since 2014, and if their original performances felt like they’d been playing those characters for years, Guardians Vol. 2 has them as comfortably iconic as ever. Seemingly born to play Peter Quill, the self-appointed Star-Lord, Chriss Pratt’s comedic chops are on point, but it is Dave Bautista’s Drax who gets the majority of big laughs this time around. Whether he’s boasting about his inter-dimensional-tentacle-monster-vanquishing abilities or misreading situations due to his inability to grasp sarcasm, Drax is a hoot whenever he’s onscreen. 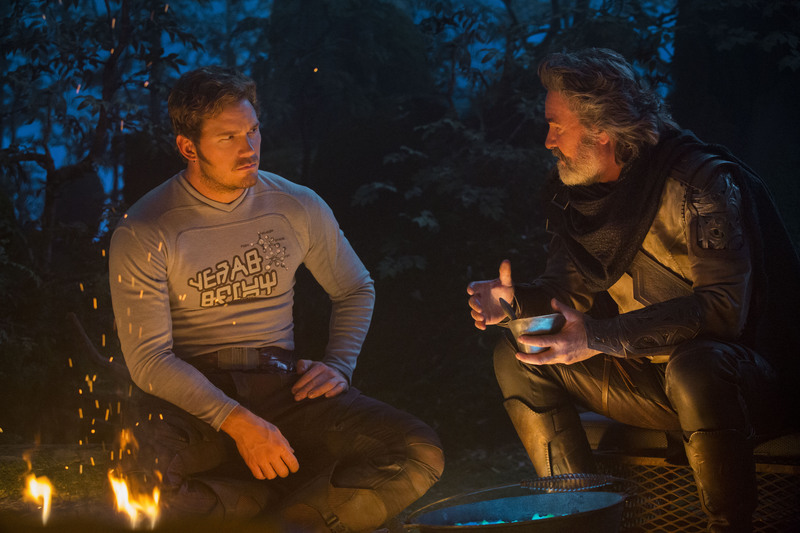 Adding a new angle to the narrative is the introduction of Kurt Russel (Escape from New York, The Hateful Eight) as Ego, who has a connection to Quill’s past. Assisting him is Mantis (Pom Klementieff, from the Oldboy Hollywood remake), an empath who somehow manages to be even more naïve than Drax. This is an amusement park ride, through and through, delivering a hell of a rush that you probably won’t be able to stop smiling through. What is lacking, however, is the single-minded focus the first film had in giving these characters a reason to band together. Instead, Guardians Volume 2 tends to bounce our heroes from one sequence to the next just so amusing things can happen to them. 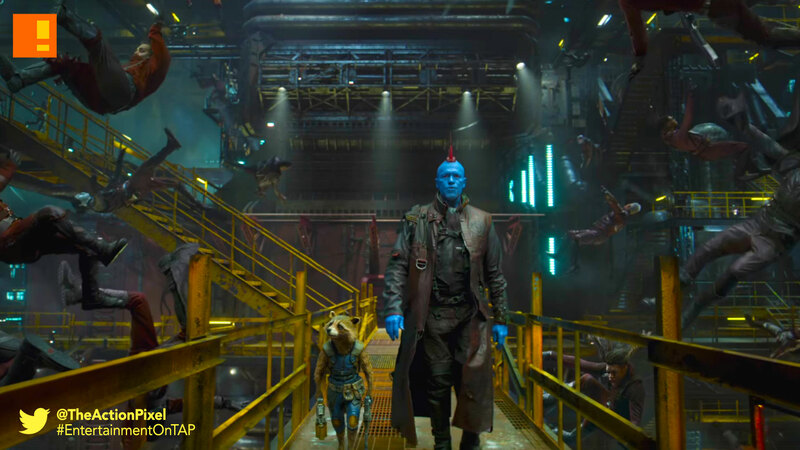 The emotional core of the film is its theme of family above all, presented through Quill’s desire to learn more about his father and his disdain for the space pirate Yondu (The Walking Dead’s Michael Rooker, in superb form), who abducted him from Earth while his mother died of cancer. Also having issues are returning blue-skinned baddie Nebula (Doctor Who’s Karen Gillan), who still bears a murderous grudge against her half-sibling Gamora. While it makes perfect sense that Gunn would find a way to put his own spin on the now ubiquitous post-credits tease, he probably sets some kind of record with the ones he threw in here. Remember how exciting it was when 2008’s Iron Man taught audiences to stay through the credits of an MCU flick with a Samuel L. Jackson cameo? Well hold on to your hats, boys and girls, Guardians Vol. 2 goes all in with a smattering of A-list stars to whet your appetite for future adventures. Hopefully, now that Quill’s backstory’s been resolved, and with the Guardians set to make an appearance in the upcoming Avengers: Infinity War, we can have something more focused when the recently-announced Guardians Vol. 3 is released. At any rate, Guardians of the Galaxy Volume 2 is a sequel that does everything right, and heck, you really can’t go wrong with Baby Groot. Have you seen the movie? What do you think of it? Share with us your thoughts below!